PLEASE READ ALL THE TEXT! 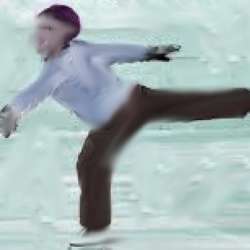 I go ice skating this Sunday ... who likes to join? It´s a big open space area and there will be music. for 4 Euro in case you don´t own ones yourself. Afterwards I will suggest to go to a nice restaurant where I reserved a table. You are, of course, not obliged to go there afterwards. You are NOT insured participating with this sports event and you do this at your own risk and responsability. Ice skating can be lots of fun, but also be very dangerous in case you are not familiar with skates.